Every recliner should have this on it. 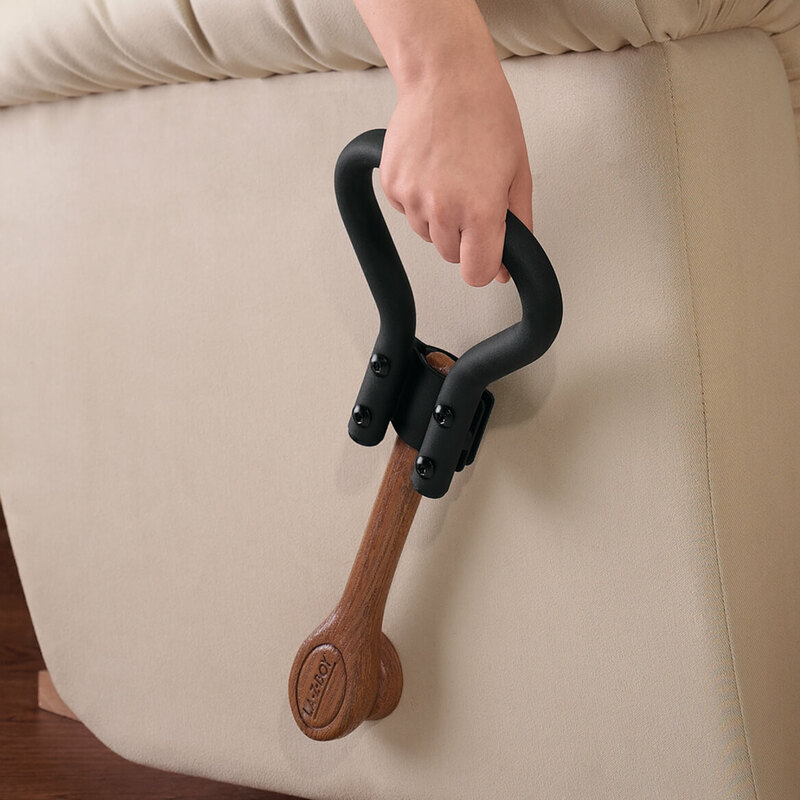 It makes putting your feet up super easy.. You no longer have to lean out of your chair to reach that short handle. Love it. ,!! Works great helping my mom close her recliner chair. 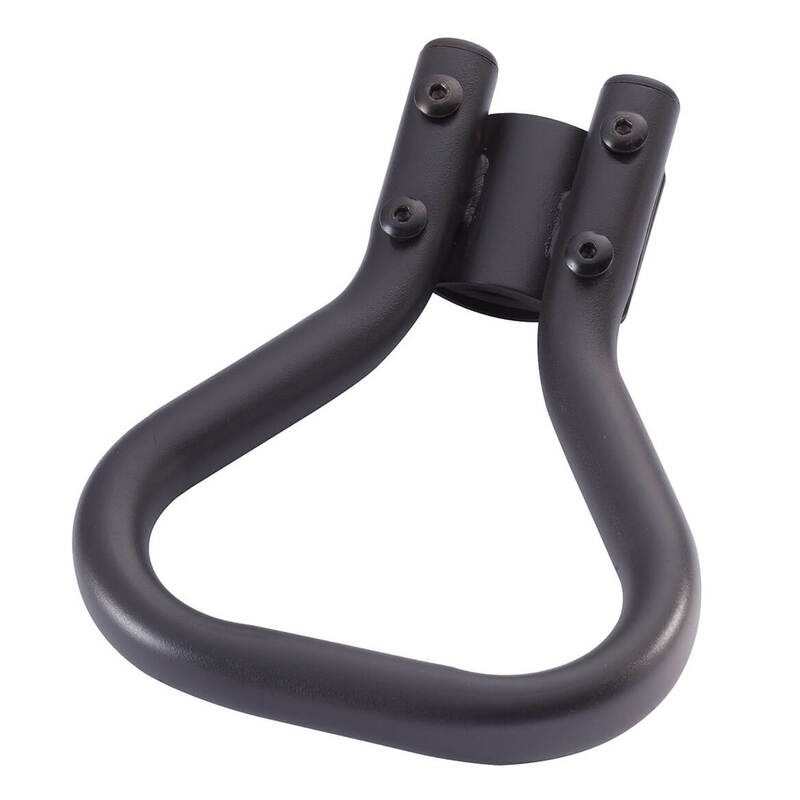 This item was easy to attach to the reclining chair handle, and so handy to reach down and grip the large handle. I just ordered and received the second one for my husbands chair, as he has arthritis in his shoulder and is hard for him to grab the original lever. Just what a Heighth Challenged gal needs! We purchased a Comfort King Recliner and you had to re-position yourself in the chair in order to reach the built-in lever. With this lever extender, that we attached to the lever already in place on the chair, it made the lever easier to reach, thus changing the positions of the chair much easier. This thing is fantastic. Makes reclining so much easier. The weighted handle actually helps in the process. You don't have to "work at it" so much. Even makes the sitting back up a lot easier. Wish I'd have gotten it the first time I saw it. The grip itself is a little rougher than I thought, but it actually helps with the usage! My husband was thrilled with this purchase - he had been having a hard time adjusting his recliner - he said this was the best ever! I was unable to use my recliner--couldn't maneuver the lever---now--problem solved in a jiffy--great product and problem solver. It went on in a zip and has been helpful ever since. The lever was broken on the chair I recently purchased so I thought I'd give this a try and what a find! It took away my sorrow from thinking I'd lost my "recliner" portion of my rocker/recliner by the lever being broken, thank you Walter Drake for making my blues go away!! The Lever Extender helps me tilt recliner back or upright because the "loop" on the extender can be reached from many angles. Needed one of these years ago! Makes my recliner a much better chair! I BOUGHT THIS FOR MY HUSBAND FIRST BUT HE SAID I SHOULD GET ONE FOR MY CHAIR. IT IS THE BEST!!!! this works great! using recliner is easier. love this and is really of great assistance to my mom! The lever extender was just what was needed for elderly and weak strength arms. It was easy to attach and needed no other alterations. It could use improvement for smaller sized handles. An additional bushing would be helpful. Bought this for my parents. My neice had broken the handle to the recliner during her climbing on everything phase. It fit well, even though there was just a little over an inch of the handle remaining. Took about 2 minutes to install. My recliner is great except for the practically unreachable handle to raise the leg rest. With this Lever Extender I can reach comfortably and not completely dislodge the kitty sitting on me or upset the food plate on my lap. Very smoothe to grab and pull. The Allen wrench was included and easy to use to add the Extender. One small drawback: my chair handle is cloth covered as well, not exposed wood. The Extender tends to be a bit wiggly even after tightening it as much as possible; I could probably find a solution--but it works just fine as is![...] Bottom line: A [$] addition makes my $400 chair a delight instead of an irritating challenge. Thank you. Quit straining to reach that ordinary lever. Put it on my recliner because the lever was so hard to reach and recline or put down smoothly. Still difficult to reach but much easier to grasp and decline smoothly instead of nearly falling forward so hard it almost propelled you out of the chair before. handle could be a inch wider, when the lever on my recliner is in the down position it is still a little hard to reach. I am hoping this will help me reach the handle on my recliner. After reading the reviews for this product I am looking forward to using this. To assist elderly individuals with recliner operation. I need a chair that doesn't require electricity to recline. This will help me use a power-free recliner. I am in need of this item and the price is fare. Because a e I need it. Trouble reaching handle on ne recliner. I'm short and cannot reach the regular recliner handle so this makes it reachable for me. Having trouble reaching handle on recliner and pulling it to get up and down. Hopes this works. My father doesn't have the strength to open the foot rest on his recliner. I was hoping that this extender would give him an easier angle. My arms are short. I was hoping that this extender would make it easier for me to grab hold of the lever. Needed to extend the handle on the new recliner. low price. needed part. remembered you offered. For my elderly mom. She is weaker and this will be easier for her to use. Great invention. Thank you. I am old and it makes it easier to reach my recliner handle. I have a shoulder injury. I hope this item helps raise and lower the handle of my recliner. My husband has trouble reaching foot rest handle. Because I can't reach the recliner handle any other way. This is for my mother as she is having trouble bending over the side of the chair to work the handle. We are hoping this is just the trick! Is hard to reach my chair handle while I'm reclined and I want to sit up. Purchased one for a recliner a couple of years ago and love it! ( Works great for my Mother who has arthritis). Now I recently purchased another recliner and had to have one for it too. This is a "Great" product and I'm very happy with my purchase. I can't reach the lever to recline in chair. good product. Well made and works. I had difficulty reaching the handle. This was very easy to install and very helpful to recline. I'm a petete and my arms are only 26 inches long. Need something to extend the recliner that I set in all the time.